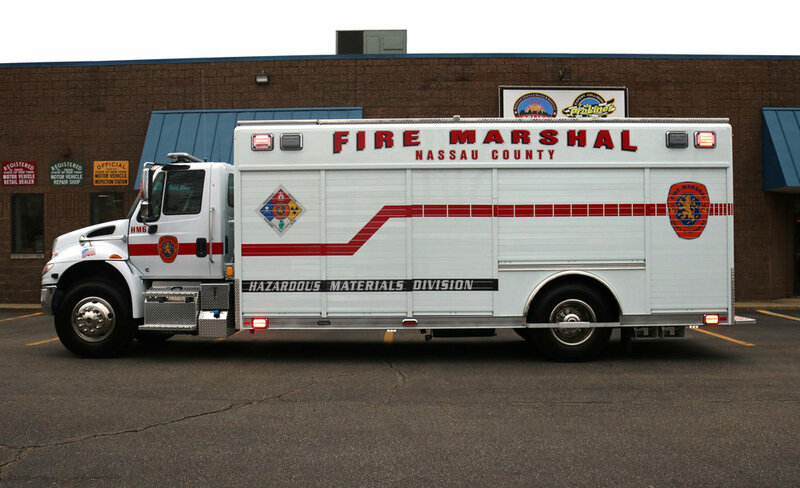 Just delivered to Nassau County Fire marshal: one Hackney Heavy Rescue truck. 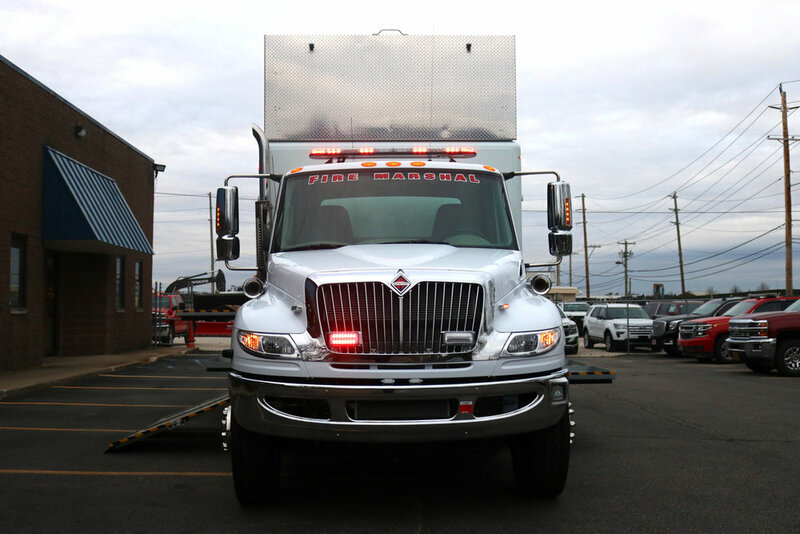 This build includes: International 4400 cab and chassis; Cummins L9 EPA 10 330-hp engine; 21-foot Hackney 10-compartment body with drop-pinch frame construction; two full width compartment fold down ramps; Rooftop full length coffin compartments; Federal Signal Rearview color camera with nightvision monitor; Whelen LED NFPA warning lights and siren package. 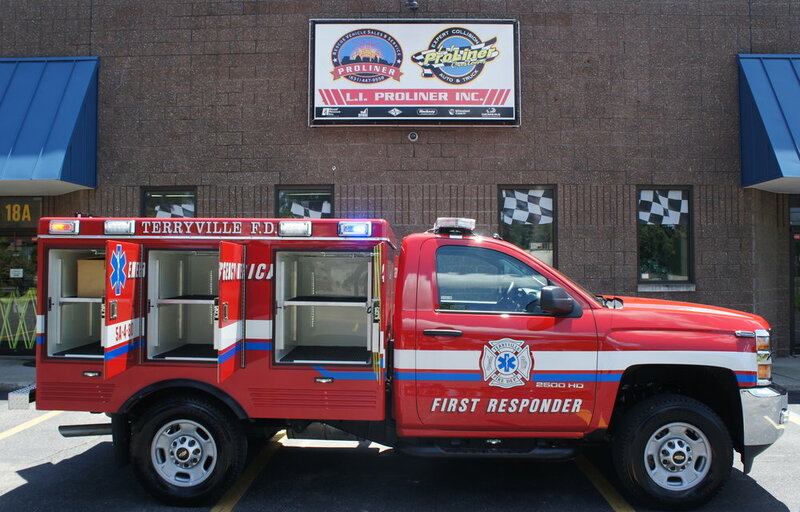 Congratulations to Terryville on their brand new First Responder truck! 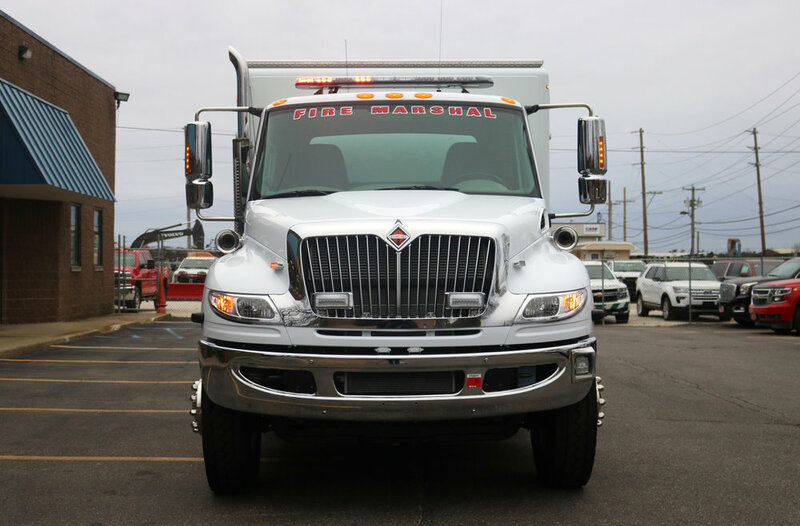 This truck has a full lighting package, loads of easily accessible storage space, a custom console, and chargers for flashlights, radios and other equipment in the rear compartments. 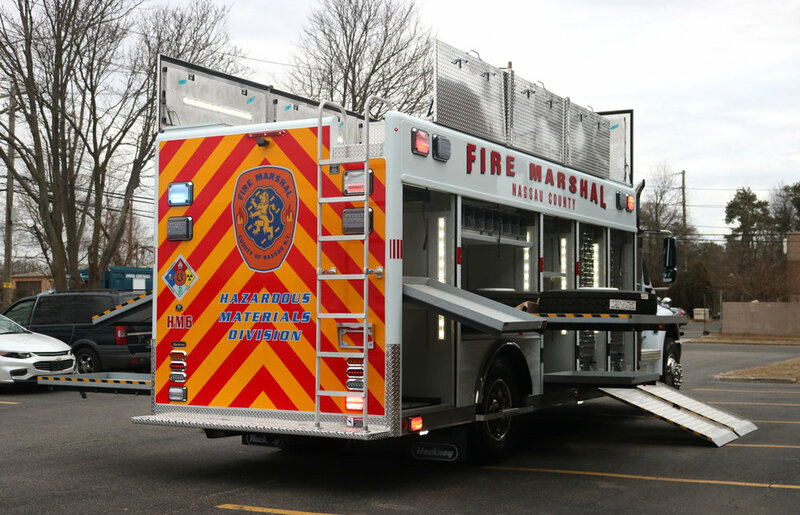 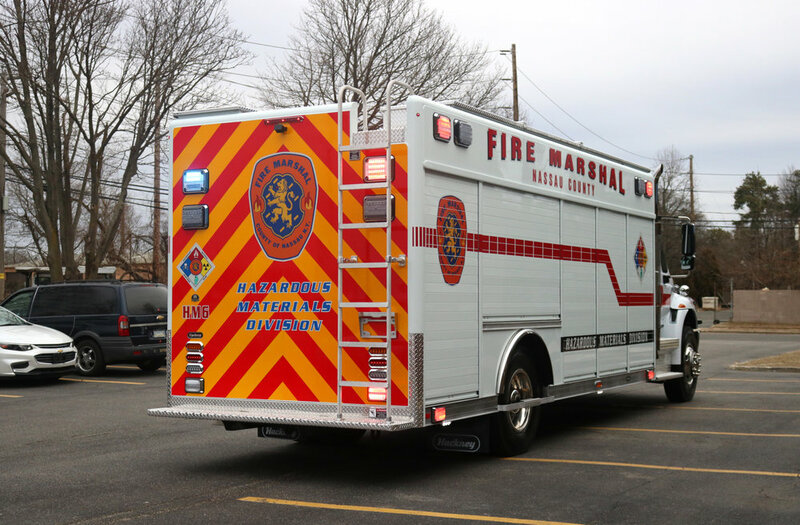 Setauket Fire Department's first responder truck sees so much use, that it has been remounted on a new chassis for the third time. 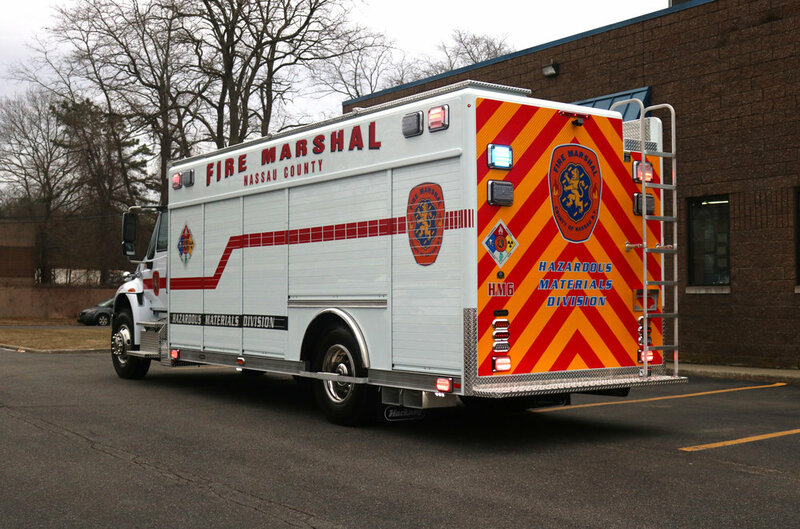 This is a Swab body, on a brand new Silverado, loaded with Code 3 lighting, a custom console, radios and sirens. 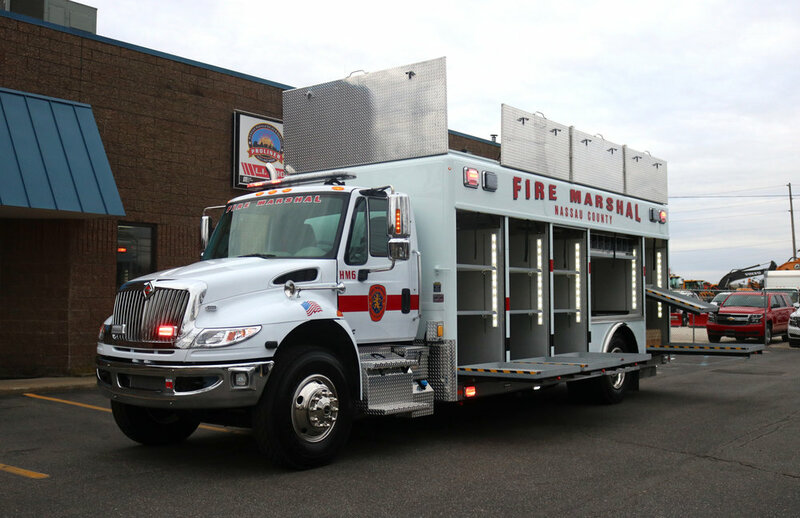 We hope this chassis serves Setauket well! 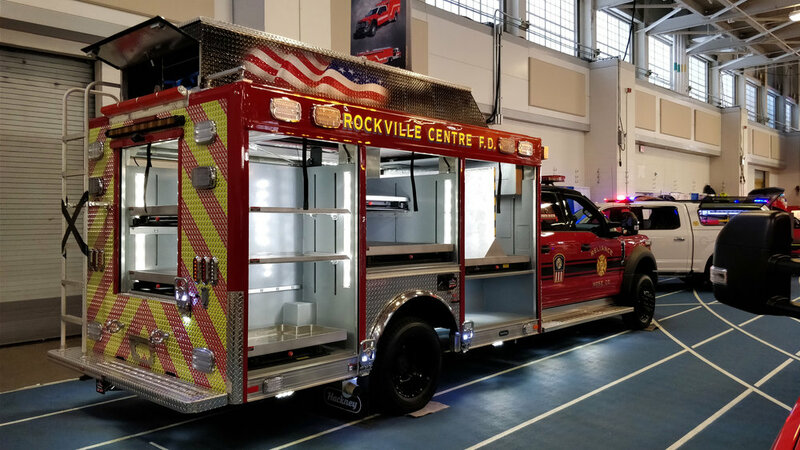 Congratulations to Rockville Center Fire Department on their new custom built mini rescue truck! 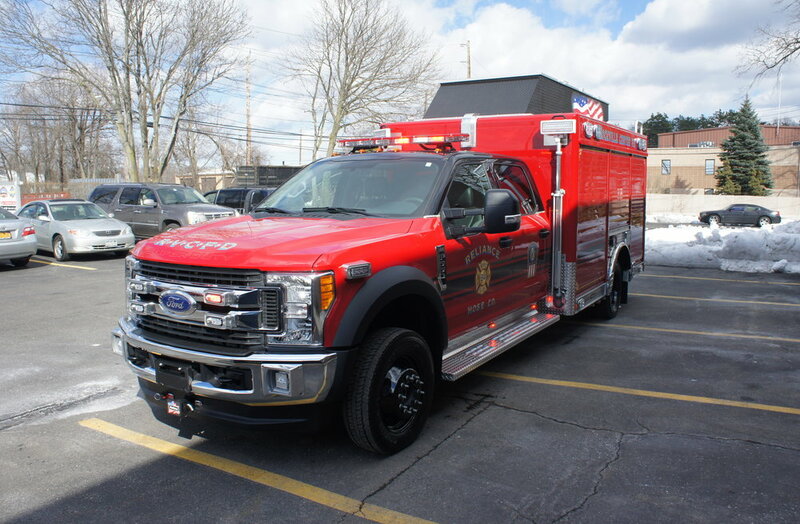 This is a custom twelve foot Hackney body on a 4x4 Ford F550 crew cab chassis, made to carry any and all equipment that might be needed at any emergency scene, this vehicle is ready to tackle anything! 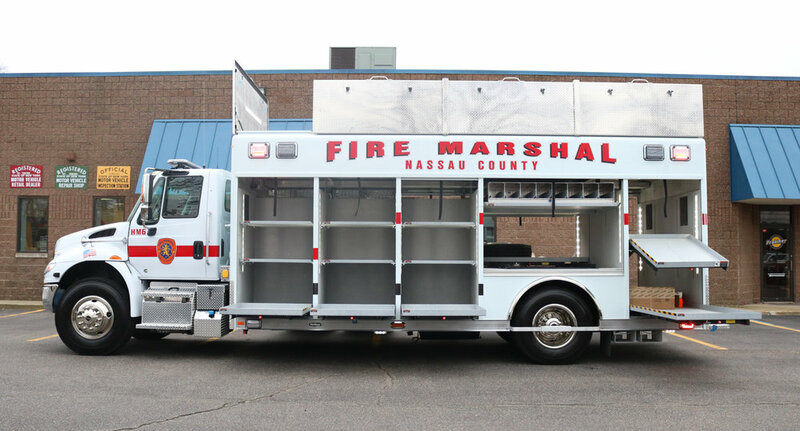 Options include a multiplex electrical system, power locking doors, roof storage, sliding trays, auto eject charger, and a movable winch assembly, with mounting points on each side of the vehicle.